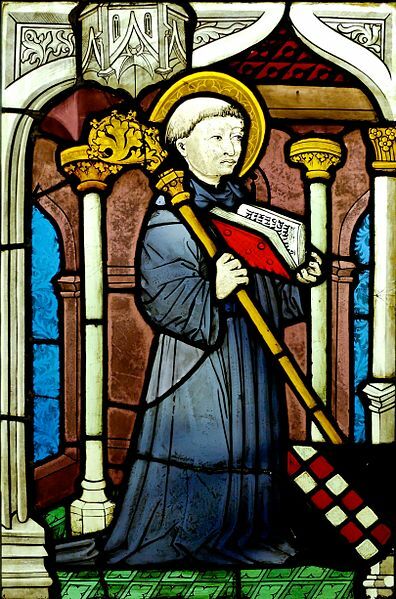 August 20th is the feast of St. Bernard of Clairvaux, considered by many to be a driving force behind the Cistercian Order even though he is not its founder. Like many medieval abbots St. Bernard bore a coat of arms illustrated in the lower corner of the image below. This entry was posted in Abbots & Abbesses, Saints on August 19, 2014 by guyselvester. You cannot see the black shield with the red and white checked bend in the lower right hand corner?